Leasing or Buying? What’s the Right Move for You? If you’re shopping for a new Honda car, you should stop by our location to see our inventory of the latest Honda cars, SUVs, and trucks. While you may already know you want a new Honda vehicle, you may be struggling with the next big decision – should you lease or buy? Deciding whether you should lease or purchase is a difficult choice, but it’s not one you should stress over. You’ll enjoy some significant benefits either way, and we can help you make the decision that’s right for you. As Honda dealers in CT, we can tell you that one of the biggest benefits to leasing is that you’ll avoid the rapid depreciation that occurs in the first year a car is owned. While you’ll still absorb some depreciation, it will only be based on the value of the car during your lease term, rather than the full value of your automobile. When you visit our Honda dealership to talk to the experts in our Honda financial center serving New Britain, CT, they’ll tell you that leasing has other advantages. One benefit is that lessees typically have a lower monthly payment. In general, lessees have to put down less money when they sign their lease contract as well. Being able to get a new vehicle every few years is another meaningful advantage to leasing. When you visit our Wallingford, CT Honda dealership, we’ll explain the benefits to buying a car like a 2018 Honda Accord. One advantage of purchasing a vehicle is that you don’t have to abide by any limitations about how much you drive or how you maintain your car. When you lease an automobile, if you drive over a certain number of miles annually or your car experiences excessive wear and tear, you’ll have to pay a penalty when you return your car at the end of your lease. Another advantage to buying is that you’ll be able to build equity. Regardless of whether you buy or lease, our Honda auto dealers will help you get the financing you need to bring a new Honda vehicle home. 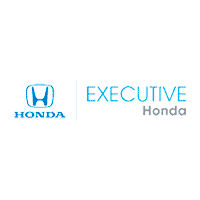 Visit Executive Honda to find and finance your next Honda car today.